AMRITSAR SAHIB (KP) – Sikh Sangat based in Punjab and Western Countries has been shocked at the recent act of sacrilege at Sri Harmandir Sahib in which a Hindu man sat down on the peehra sahib on which parkash of Guru Granth Sahib Ji is done. Panthic organizations are now questioning the security of Darbar Sahib and the role of SGPC in the blasphemy that shocked the hearts of the entire Nation. Interestingly, as the Police have arrested the person responsible for the beadbi, there have been reports of the SGPC secretly trying to cover up for the incident. It was on April 26th when the incident took place at the Darbar Sahib premises. Early at dawn, a Hindu man, Rajiv Kumar (21), of Golbagh area (close to Seetla Mandir) entered the premises from the back side of Darbar Sahib where choola is distributed to the sangat. Without considering the maryada or sanctity of the place, he tossed off the sheathing from pehra sahib where Guru Sahib’s saroop is parkash and then sat down on it himself. Sevadars successfully pulled him off the pehra sahib and took him to room 13 where police was called. SGPC employees had also reached the room at the same time and started to interrogate the person. In the mean time, the Amritsar Sahib police also showed up and questioned the man and cordoned the area so that no one was allowed near the scene. Several Singhs however made their way into the room despite the blockade. A Jatha of Singhs belonging to the Guru Granth Sahib Satkar Committee was amongst the sangat that entered the room. When they wished to question the person, the police and SGPC officials refused and expressed their wish to take the person to the police station at once. In no time, the situation became sensitive and members of both sides attacked the other. Weapons were drawn which resulted in injuries to several persons. Finally the tensions were eased and the police took away the man, along with the Singhs of Guru Granth Sahib Satkar Committee and several other sevadars involved in the incident. Although the SGPC President has apologized for the incident and asked for forgiveness, Sikh Sangat have expressed their fury over the row of incidents. Interestingly, now the police and SGPC reports claim that the man was mentally instable, however one of the earliest statements by the Amritsar Sahib police claim that that man was arrested in a sound condition, without any medical issues. At the time of his arrest, an identification card along with a mobile phone was taken from his possession. During the interrogation, the man expressed that he had a vision from Guru Nanak Dev Ji who inspired him to take up the pehra sahib at Sri Harmandir Sahib. The person who was arrested is said to be a regular visitor to Sri Darbar Sahib. 1. Singhs of the Guru Granth Sahib Satkar Committee were attacked by the SGPC Task Force as they tried to enter the room where Rajiv Kumar was locked. They were asked to leave the matter up to the police. 2. In past, the Satkar Committee members have been forced into rough time with thanks to numerous clashes with the SGPC. The SGPC, along with current and previous Akal Takht Sahib Jathedar have tried numerous times to summon members of the Satkar Committee. 3. The Sikh Sangat always faces extreme treatment through SGPC members and local Sangat when trying to have darshan of Guru Granth Sahib’s saroops when being taken to Akal Takht Sahib. SGPC Task Force security is deployed to ensure any mishap. Where was the Task Force earlier when the incident took place? 4. Where were the Ragi Jathas and several Granthi and Hazoori Sevadars at the time of the incident? 5. What possible interest does the SGPC have in covering up the incident? Obviously the incident leads to one conclusion: The SGPC has failed in its operation and administration of historical Gurdwara Sahibs. This is the sole purpose of the body, however over the years it has developed into a political organization rather than a religious committee which was originally formed to look over the well-being of our Gurdwara Sahibs and historical institutes. Following the major sacrilege incident and roughing/arrests of Satkar Committee members and local sevadars, Sikh Sangat in different areas have burnt effigies of the SGPC President Avtar Makkar and Manager Harbhajan Singh. Effigies were burnt by the sangat to express their dismay with the SGPC President. While in the past Sikh Sangat has largely supported the work of Guru Granth Sahib Satkar Committee, they have faced harsh times due to conflict with the SGPC. Similarly, the Akal Takht Sahib has already issued summons to several Singhs belonging to the Satkar Committee and Sikh Youth Federation (Bhindrawala) in relation to the recent incident. The summons was issued on request of the SGPC President who termed burning of his effigy as a “religious misconduct”. Interestingly, the summon was issued after the sevadars of Satkar Committee, along with Jatha of Baba Baljit Singh Daduwal submitted a memorandum to Akal Takht Sahib seeking strict action against Makkar and Manager Harbhajan Singh. Panthic Weekly strongly condemns the sacrilege of Harmandir Sahib and Guru Granth Sahib’s peerha sahib. 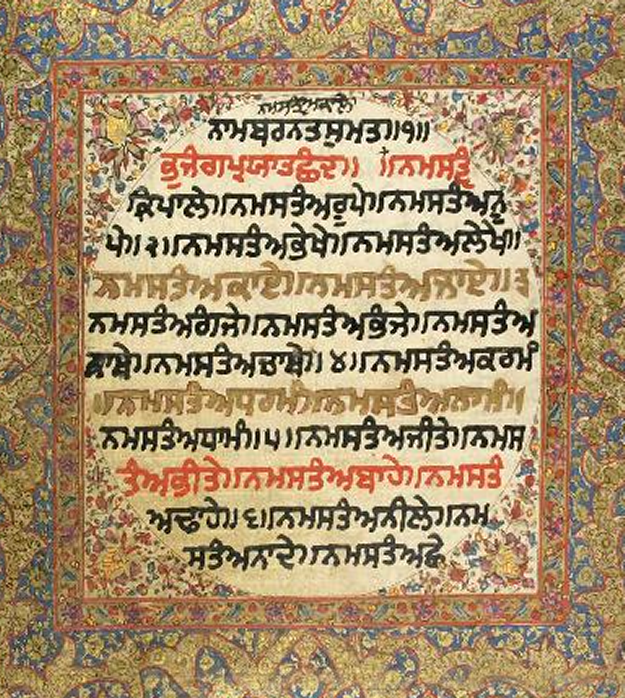 The summons of sevadars committed to reverence of Guru Granth Sahib is also disappointing. We appeal to Akal Takht Sahib to deliver the justice in this case and punish the culprits. Sevadars of Guru Granth Sahib Satkar Committee led by Bhai Amrik Singh and Bhai Balbir Singh ought to be honored for their dedication for Guru Khalsa Panth.